Over the last five to seven years, four companies have ascended to absolutely astounding heights. They are Amazon, Apple, Facebook, and Google, aka The Gang of Four. Yes, these companies excel via their superior use of technology. They have built incredible ecosystems. They’ve embraced partnerships and external innovation. Beyond all of this, the Gang of Four has embraced an entirely new way of doing business: the platform. But beyond a hackneyed buzzword, just what is a platform anyway? They are rooted in equally powerful technologies—and their intelligent usage. In other words, they differ from traditional platforms in that they are not predicated on physical assets, land, and natural resources. They benefit tremendously from vibrant ecosystems (read: partners, developers, users, customers, and communities). While platforms inhere a great deal of potential commercial appeal and applications, they do not exist simply as a means for companies to hawk their wares. At their core, platforms today are primarily about consumer utility and communications. Finally, because consumer tastes change much faster than business’ tastes, platforms today must adapt very quickly—or face obsolescence. In the 1990s, platforms and ecosystems were not nearly as powerful, robust, and vibrant as they are today. Consider the image on the right. As I demonstrate in the book, these connections between and among platforms and planks are essential. Collectively, they allow Amazon, Apple, Facebook, and Google to innovate so quickly and profoundly. What’s more, they can more rapidly deploy new services and features. As a result, they create and dominate new markets far faster than their peers. 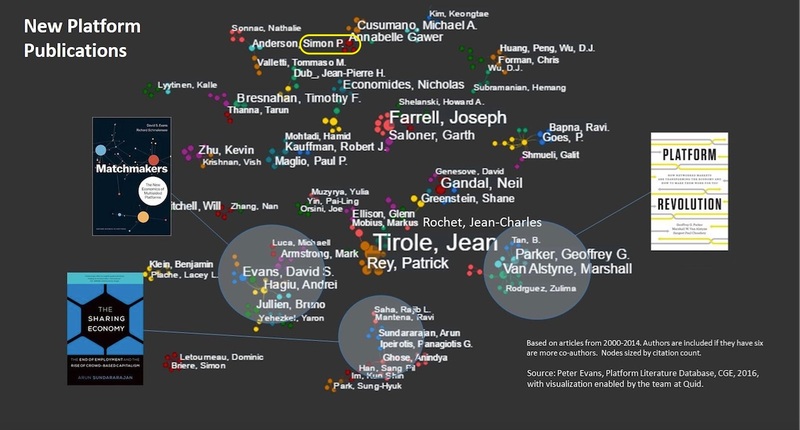 Prior to the release of The Age of the Platform, nearly all of the research on the topic of modern-day platforms was confined to economics textbooks and articles in obscure academic journals. Put differently, at least to my knowledge, The Age of the Platform was the first mainstream business book to address not only the platform as the most important business model of the 21st century, but the Gang of Four: Amazon, Apple, Facebook, and Google. I commented on the explosion of platform books here. I certainly can’t claim to have read them all. For my money, though, the best of the lot is The Four by NYU professor and L2 founder Scott Galloway. This book took my career to a new level, but getting there wasn’t easy. I was looking at homes in Las Vegas in May of 2011 when food poisoning felled me late one night. Those next two days were hell. Stubborn and afraid to venture outside of my room, I decided to make the situation work for me. Over the course of two painful days, I churned out over 8,000 words of the manuscript in a hotel in Las Vegas. As of mid-2018, sales exceeded 20,000 units–not an easy thing to do these days. On a different level, this was my first book to reach international audiences. A Korean translation arrived in 2013 followed by Indonesian version in 2015. There’s a separate version available in India because Amazon’s footprint there is limited and an independent publisher expressed interest in acquiring the book’s rights. Read a sample below or click here. 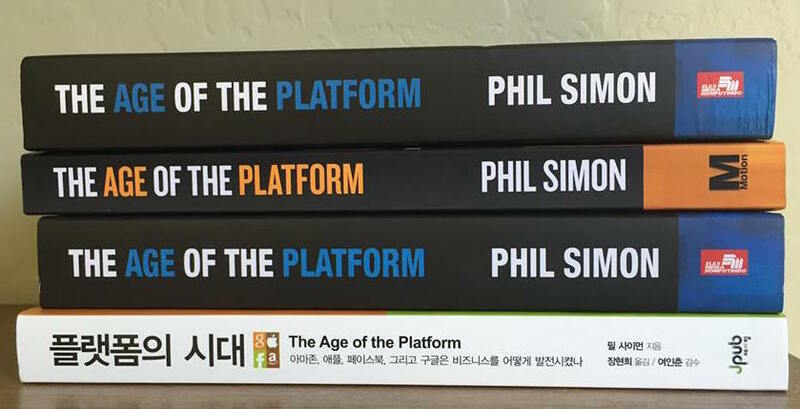 The Age of the Platform won an 2011 Axiom Award for the best business technology book. Click here to read more about it.